Für die Abonnements gilt eine Kündigungsfrist von drei Monaten zum Jahresende. 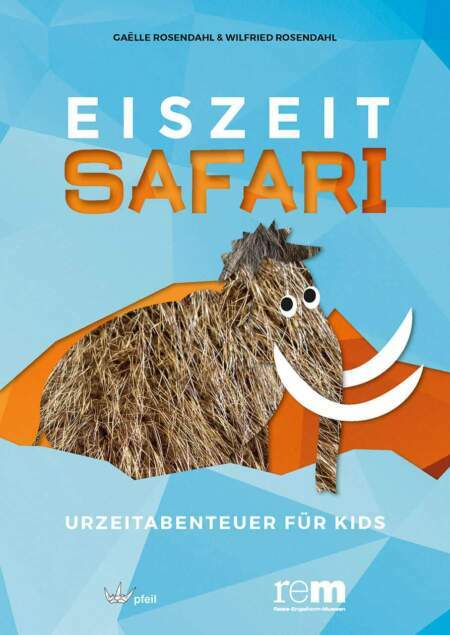 Das Abonnement wird also automatisch verlängert, wenn bis Ende September keine Kündigung eintrifft. Bodies with any type of preserved soft tissue are considered mummies. The international multidisciplinary research field of Mummy Studies incorporates research from anthropology, medicine and numerous other fields in order to analyze and interpret human and animal remains with preserved soft tissue. 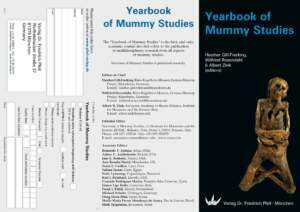 The “Yearbook of Mummy Studies” is the first, and only, academic journal dedicated solely to aspects of the study of mummies and aims to present research that explores the methods and theories used in the interpretation of human and animal mummies. Bernardo T. ARRIAZA, Instituto de Alta Investigación, Universidad de Tarapacá, Arica, Chile. Jane E. BUIKSTRA, School of Human Evolution and Social Change, Arizona State University, Tempe, USA. Ann Rosalie DAVID, KNH Centre for Biomedical Egyptology, The University of Manchester, Manchester, UK. Sonia E. GUÍLLEN, Centro Mallqui, Lima, Peru. Salima IKRAM, The American University in Cairo, Cairo, Egypt. Niels LYNNERUP, Department of Forensic Medicine, University of Copenhagen, Copenhagen, Denmark. Karl J. REINHARD, School of Natural Resources, University of Nebraska-Lincoln, Lincoln, USA. Conrado Rodríguez MARTÍN, Instituto Canario de Bioantropología, Tenerife, Islas Canarias, Spain. Dario PIOMBINO-MASCALI, Department of Anatomy, Histology and Anthropology, Medical Faculty, Vilnius University, Vilnius, Lithuania. Franco Ugo ROLLO, Dipartimento di Biologia Molecolare Cellulare e Animale, Università di Camerino, Camerino, Italy. Frank J. RÜHLI, Zentrum für Evolutionäre Medizin, Anatomisches Institut, Universität Zürich, Zürich, Switzerland. Michael SCHULTZ, Universität Göttingen, Bereich Humanmedizin, Abteilung Morphologie, Göttingen, Germany. Dong Hoon SHIN, Institute of Forensic Science, College of Medicine, Seoul National University, Seoul, Korea. Sheila Maria Ferraz Mendonça de SOUZA, Escola Nacional de Saúde Pública/Fiocruz, Rio de Janeiro, Brazil. Mark SPIGELMAN, Kuvin Center for the Study of Infectious and Tropical Diseases, Hadassah Medical School, Hebrew University, Jerusalem, Israel. In the preface to his landmark 2003 book “The Scientific Study of Mummies”, Arthur Aufderheide, the acknowledged ‘father’ of mummy studies as a discipline, wrote that mummy studies was an “orphan discipline” that existed and developed, despite a lack of “[. . .] committed academic training programs, standing university faculty positions, students, dedicated funding sources or journals” (p. xiii). Nearly a decade later, the discipline of mummy studies continues to evolve, but still lacks definition and structure. Advances in technology and methodology have made significant contributions to mummy studies, but there are few courses or programs dedicated to the study of mummies and funding options in the discipline generally remain limited. Mummy researchers are not deterred by these obstacles and continue to produce high-quality mummy research, regardless of the challenges that exist within the discipline; several long-term, multidisciplinary research projects have been established specifically to study mummies. The examination and analysis of mummies should be undertaken by those with an understanding of the potential limitations of mummy studies such as small sample size (often single case studies); the need for adaptation of methods used in medicine, biological anthropology or other fields and a frequent lack of clear archaeological or cultural context. In some cases, however, mummy research is conducted by those with limited or no experience with mummies, and this research, while reported in the general media or popular press, is seldom presented in academic publications, causing a loss of valuable data. Even when the research is performed and reported by those with experience, the true nature of our international multidisciplinary field is particularly evident when noting publications that have printed articles related to mummy research. Over the past century, research reports of the examination and analysis of all types of mummies have been published in more than 400 different journals, in numerous languages. The focus of the academic journals that have published mummy-related papers ranges from anthropology, medicine, forensic science, and technology to museum studies, history, chemistry, biology, industry, zoology, geology, and many other fields, as well as various journals with specific regional interests. 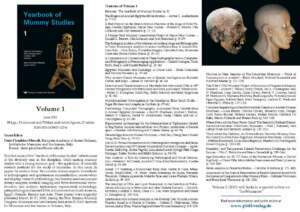 The “Yearbook of Mummy Studies” is the first, and only, academic journal devoted solely to the publication of multidisciplinary research from all aspects of mummy studies. 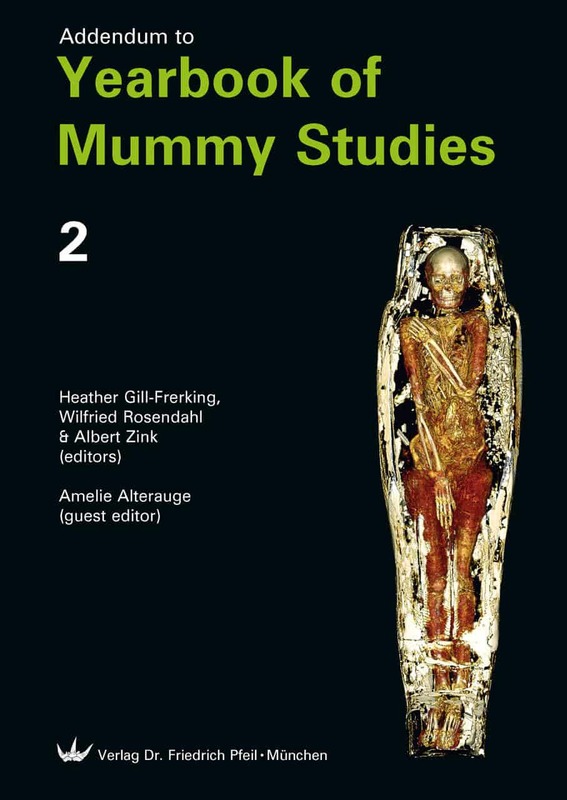 This first issue of the “Yearbook of Mummy Studies” reflects some of the diversity seen in the discipline, while uniting mummy studies with a strong common goal – the application of scientific research methods for the study of mummies. 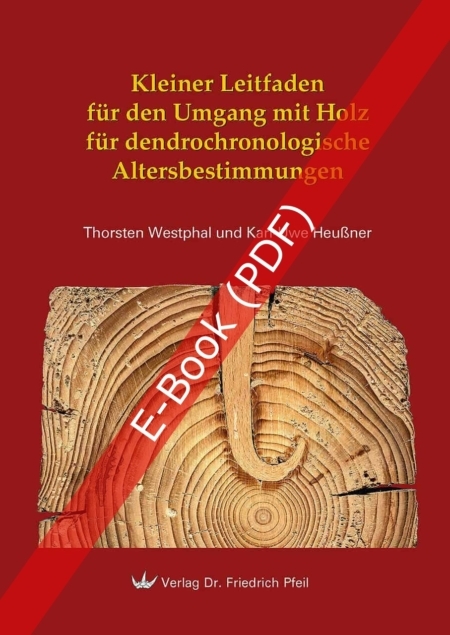 In this issue, 26 papers by authors from 14 countries discuss aspects of methods of anthropogenic and spontaneous mummification; conservation and display; research methodology; biochemical and macroscopic dietary analyses; medical imaging and three-dimensional reconstruction; hair analysis; taphonomy; experimental archaeology; paleopathology and ancient DNA of mummies from South America, Egypt, Oceania, Europe and Asia. These papers were originally presented March 19-21, 2009, during the First Bolzano Mummy Congress: Mummies and Life Sciences, held at the EURAC-Institute for Mummies and the Iceman in Bolzano, Italy. For mummy studies to truly be seen as a strong discipline in its own right, it needs to function as any other scientific discipline: researchers in the field need to be skilled and experienced with ancient soft tissue; students need to be trained in the methods and theories of the field and work within the discipline must adhere to strict scientific, professional and ethical codes of conduct. This inaugural issue of the “Yearbook of Mummy Studies” is a step towards the development of an academic journal dedicated to the research of human and animal mummies, and a step closer to establishing mummy studies as a strong scientific discipline. 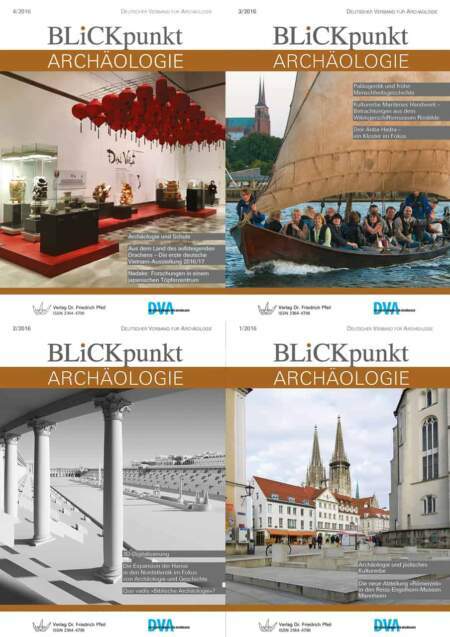 While the problems identified by Aufderheide have not yet been resolved, the “Yearbook” fills a void from the lack of dedicated mummy research publications. Future issues of the “Yearbook” will continue to provide international mummy researchers with a venue to publish scholarly scientific research about any aspect of mummies, as well as serving as a valuable resource for researchers and students within the field of mummy studies, and for those seeking to learn more about what we do, and how we do it. It is a sad, but significant, coincidence that the acknowledged ‘father’ of mummy studies as a discipline, Arthur (Art) Aufderheide, died in August 2013, just after the 8th World Congress on Mummy Studies had ended. Aged 90, Aufderheide could not attend the conference but his scientific legacy is flourishing. While Aufderheide was best known for his many contributions to paleopathology, he was a great believer in the multidisciplinary nature of mummy studies and the importance of collaborative research and publication. Research in mummy studies is drawn from biological anthropology, medicine, chemistry, physics, history, archaeology, cultural anthropology, entomology, museum studies, environmental sciences, computer science and technology, and numerous other fields. Interpretation of mummies often depends on collaborative and multidisciplinary research. Contributions from such a wide range of disciplines provides the best possible opportunity to exploit a range of methods and technologies to explore multiple hypotheses. The papers in this second volume of the Yearbook of Mummy Studies reflect some of the diversity of research in the field. 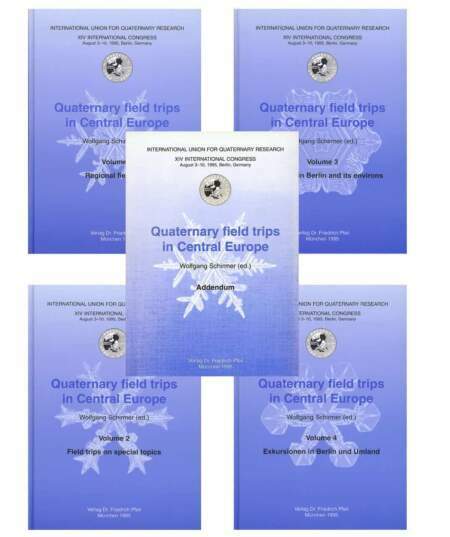 The subject areas covered include paleopathology, palynology, entomology, biochemistry, medical imaging, microscopy, archaeology, and data archiving. The natural and anthropogenic mummies studied come from Europe, South America, Asia and ancient Egypt. While some of the papers focus on the physical remains of human or animal mummies, others explore aspects of related artifacts or cultural practices. Some of the studies included in this volume do not stand alone, but are part of larger projects; they provide additional pieces to the puzzle that is the interpretation of mummies. Art Aufderheide helped to create the Mummy Congress, and thrived on its meetings that bring together mummy researchers from many fields. The Congresses continue to offer a place to meet colleagues and friends, hear the latest research developments, chat informally about successes and failures in the study of mummies, and, importantly, form collaborations so researchers can share their expertise in various disciplines to develop a truly holistic interpretation of mummies. Mummy researchers now have the opportunity, perhaps even the responsibility, to carry on the legacy of Art Aufderheide, by continuing to develop collaborative research projects that take advantage of multidisciplinary methods and contexts to interpret mummies. As the field that Art once described as an “orphan discipline” continues to develop and mature, perhaps his hope for a more unified and recognized discipline will result. Author names and affiliations. Where the family name may be ambiguous (e.g., a double name), please indicate this clearly. Present the authors’ affiliation addresses below the names. Indicate all affiliations with a lower-case superscript letter immediately after the author’s name and in front of the appropriate address. Provide the full postal address of each affiliation, including the country name, and the e-mail address of the first author. Abstract. A concise and factual abstract of no more than 200 words is required. The abstract should state briefly the purpose of the research, the principal results and major conclusions. Discussion. This should explore the significance of the results of the work, not repeat them. A combined Results and Discussion section is often appropriate. Avoid extensive citations and discussion of published literature. Conclusions. The main conclusions of the study may be presented in a short Conclusions section, which may stand alone or form a subsection of a Discussion or Results and Discussion section. Footnotes. Footnotes should be avoided. Piombino-Mascali, D., A. C. Aufderheide, M. Johnson Williams & A. R. Zink (2009): The Salafia method rediscovered. – Virchows Arch. 454 (3): 355-357. 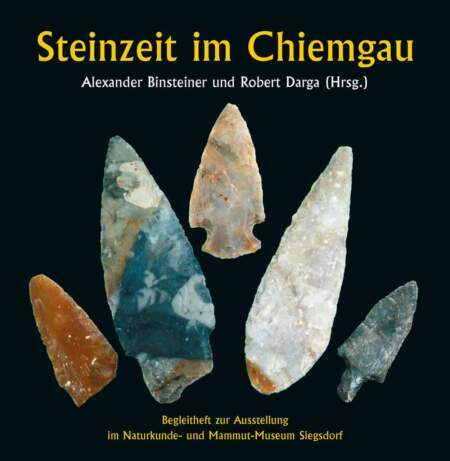 Aufderheide, A. C. (2003): The Scientific Study of Mummies. – Cambridge (Cambridge University Press). Wilkinson, C. M. (2008): The facial reconstruction of Ancient Egyptians. – Pp. 162-180 in David, A. R. (ed. ): Egyptian Mummies and Modern Science. Cambridge (Cambridge University Press). Please write your text in English (American usage). Authors for whom English is a second language must have their manuscript professionally edited before submission or during the review process. Authors wishing to pursue a professional English-language editing service should make contact and arrange payment with the editing service of their choice. For more details regarding the recommended services, please contact the editors. All illustrations should be submitted in the best available quality. Send all illustrations in the original format and resolution, as separate files, not embedded in WORD files. If the data files are modified (including labelling), a copy of the original, unmodified file should be submitted too. Never use »jpg«, except for photos of digital cameras, which do not support »tif« or »raw«. If »jpg« cannot be avoided, please select the best quality. Halftones: Should be scanned with a resolution not lower than 400 dpi, applied to a width of 14 cm, even for photographs designed for column width. Digital images: see above. Slides should be submitted as originals. Line drawings: Must be scanned with a resolution of 1200 dpi or more and the format must be bitmap (1 pixel = 1 bit), saved as »tif«. Vector-graphics: The original files saved by the used program and additionally all linked files must be submitted. Do not export or save the illustration in a different format. If there are problems with conversion, you will be informed. CT images: Make sure that these are exported from the native format in high quality (400 dpi or more). If you cannot meet these requirements, please submit the originals.